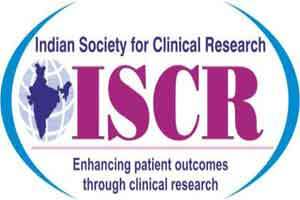 The expert committee from Indian Society for Clinical Research (ISCR) has recently stated the new compensation rules have been set to encourage clinical trials in India. This development is in interest of clearing the legal hurdles for the sponsors, and at the same time ensuring a safe process for doing clinical trials in India. The scope of discussion also highlighted the focus of ISCR to do more trials for diseases, the cure for which is not yet available in India. The earlier guidelines had no cap for compensating the patient (trial subject); the medical management had to provide him or her irrespective of the causality suffered. To further encourage the sponsors, the guidelines have been eased and the patient will now be commensurate in line with the severity of the injury. Y K Gupta, professor and head of department of pharmacology at AIIMS and executive council member, ISCR, said, there were some trials in the past, which “went wrong” and since then the government has taken “correctional measures” in the regulations. “Compensation guidelines are balanced and ensure safety of patients, and the compensation offered would be based on the severity of the injury if any sustained by the patient during the course of the trial. 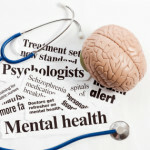 “All institutional ethical committees for the trials have to be accredited and no trial can be conducted without the informed consent of a patient,” Gupta said. He said that the amendment has added the provision of “recording and archiving” the interaction with the patient for future references. “The process takes long time and now the amendment to the rules seek to bring in more predictable review timeline, steps which will encourage sponsors to participate in the trials,” she said. “We therefore have cleared major hurdles in making clinical trial in India more streamlined and there are only operational challenges now, like the right number of trials, etc,” she added.